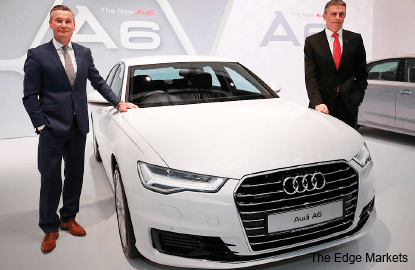 AUDI Malaysia unveiled its seventh-generation Audi A6 in Kuala Lumpur last Tuesday, and the sedan — available with either an efficient 1.8 TFSI engine or a sporty 3.0 TFSI engine with quattro — comes jam-packed with notable updates, both inside and out. 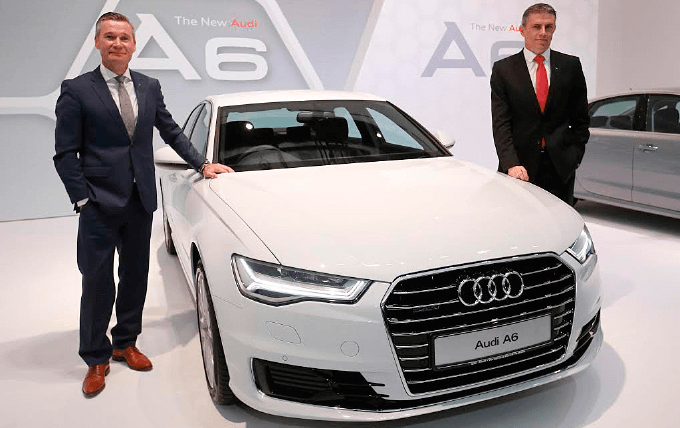 “The Audi A6 is one of our most successful vehicles and the lynchpin of our product range, making it a symbol of Audi’s leadership in the premium segment,”said Audi Malaysia managing director Immo Buschmann at the launch. Originally known as the Audi 100, the Audi A6 was first introduced in 1968, providing the foundation for Audi’s premium positioning as the flagship for the brand at the time. 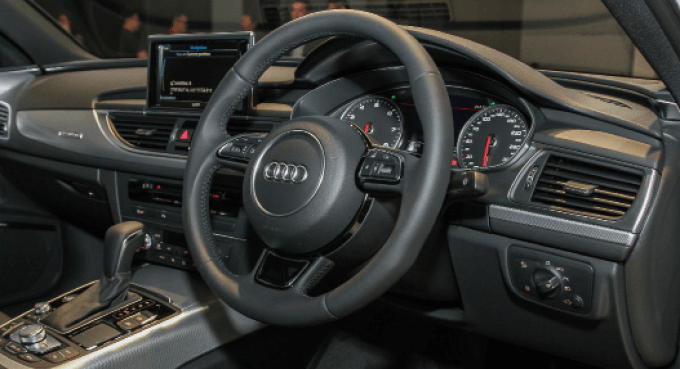 Since its inception, the seven generations of the Audi 100 and its successor, the Audi A6 (since midway in the fourth generation), have always showcased the brand’s innovative technologies and progressive approach in what has quickly become the most competitive segment — the business class. Elegant and powerful, the new Audi A6 showcases balanced proportions, sharp lines, emphasised horizontals and athletically taut surfaces. Carefully honed as part of the model refresh, its signature Singleframe grille now appears even wider, with chrome struts providing a greater level of elegance and undeniable presence. Elsewhere on the updated Audi A6, changes have also been made to the air inlets, bumpers, side sills, rear lights, tailpipes and headlights, making for an enhanced aesthetic that is at once familiar yet worthy of a double take. A feature of Audi’s progressive design, the headlights of the new sedan have seen particularly significant updates. Besides featuring newly designed light-emitting diode (LED) daytime running lights, the xenon plus units on the entry-level model and LED headlights on the higher-spec variant can now both be upgraded with Audi’s Matrix LED technology combined with dynamic indicators. The brand’s proprietary Matrix LED technology makes use of an array of 19 LEDs per headlight paired with four reflectors to produce a high-beam light that illuminates the road far ahead while not blinding other road users. The improvements on the new Audi A6 go more than skin-deep. Incorporating numerous components of aluminium and hot-shaped steel that form the backbone of a systematic lightweight construction concept, this updated sedan offers a curb weight (without driver) of just 1,535kg, while providing improved insulation from vibrations and lower cabin noise than ever before. The improved intelligent composite construction concept ensures greater rigidity of the car’s body, which in turn results in higher safety at all times. The updated Audi A6 now comes with two optimised engine options that offer more power and refinement. The entry-level variant now features a new 1.8 TFSI engine mated with Audi’s very own seven-speed S tronic transmission that delivers 190 horsepower (hp) and 320 newton metre (nm) of torque. Despite its unassuming engine capacity, this business sedan is now able to sprint from 0 to 100kph in just 7.9 seconds (a full 0.4 seconds faster than its two-litre engine predecessor) with a top speed of 233kph, whilst maintaining fuel efficiency with a combined cycle of just 5.7 litres/100km and a CO2 emission rating of 133g/km. The updated flagship of the A6 range in Malaysia sees an improved supercharged 3.0 TFSI V6 engine paired once again with a seven-speed S tronic transmission and quattro all-wheel drive. This dynamic combination allows the new Audi A6 3.0 to develop 333hp and a maximum torque of 440nm between 2,900 and 5,300 revolutions per minute, enabling it to make the century sprint in 5.1 seconds, continuing all the way to an electronically governed top speed of 250kph. Despite its exhilarating performance, the A6 3.0 TFSI quattro® is still highly fuel-efficient, with a combined fuel consumption rating of 7.4 litres/100km and a CO2 emission of just 172g/km. Like all current Audi models, the new Audi A6 also comes equipped with a smorgasbord of electronic features to ensure an efficient and safe driving experience, including a start/stop system with energy recuperation, electronic stabilisation control, traction control, electronic brake force distribution, electronic differential lock, parking aid plus with selective display, anti-lock braking system and a total of six airbags for the updated Audi A6 1.8 TFSI (eight for the A6 3.0 TFSI).